Liverpool Rose Petal Gin is showing its love for Liverpool city centre with an array of romantic gestures to keep you in the mood for love this Valentine’s. A brilliant alternative to a standard meal-for-two this Valentine’s Day is the Lovers’ Lab at the Liverpool Gin Distillery on Thursday February 14th. For £70 for two, couples can distil their own unique limited-edition 70cl bottle of Liverpool Rose Petal and Elderflower Gin, complete with personalised label, which they can take away to share at home. Book here. Valentine’s visitors to the Distillery will also receive a complimentary locally made Liverpool Gin-infused chocolate with each Liverpool Rose Petal Gin & Tonic. The Liverpool Gin team will also be handing out single red roses and truffle chocolates at Lime Street Train Station between 12pm and 4pm on Valentine’s Day. 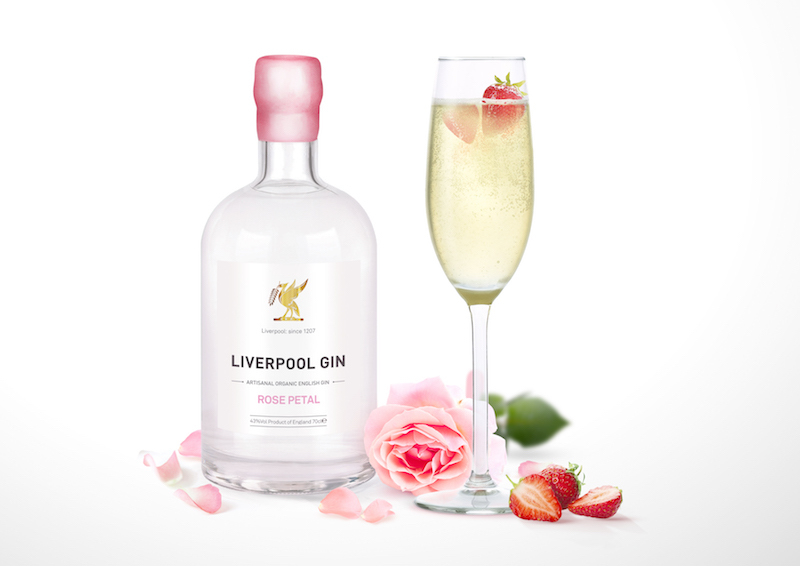 Organic Liverpool Rose Petal Gin uses the timeless, floral aroma of rose petals to create a drink full of romance. A delicate and aromatic gin that is tenderly fragrant, it features citrus for sharpness and background notes of sweet liquorice, warming cassia and piney juniper to complement the long rose finish on the palate. Liverpool Rose Petal Gin is delicious enjoyed over ice with Lamb & Watt Hibiscus Tonic Water, garnished with edible rose petals, for a fragrant twist on the classic G&T. Liverpool Rose Petal Gin (43% ABV) is available from the Distillery for £39.99 for a 70cl bottle.